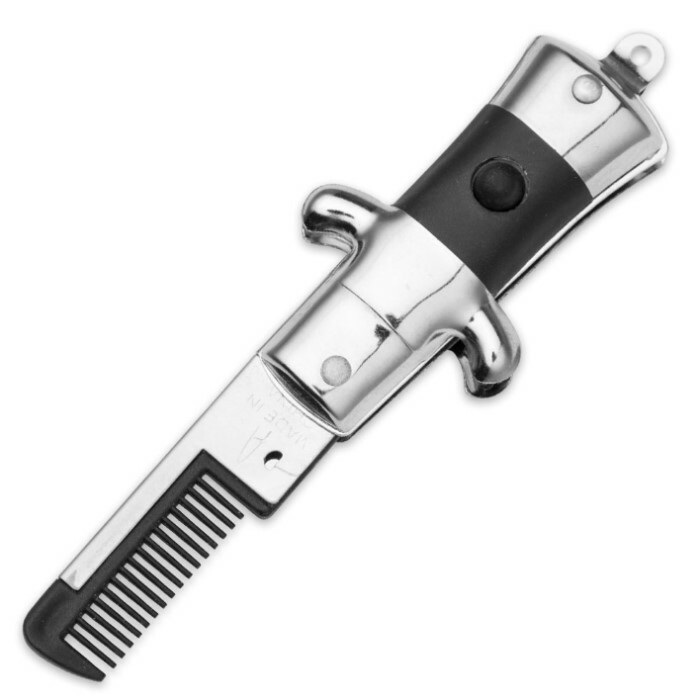 Mustache Comb | BUDK.com - Knives & Swords At The Lowest Prices! 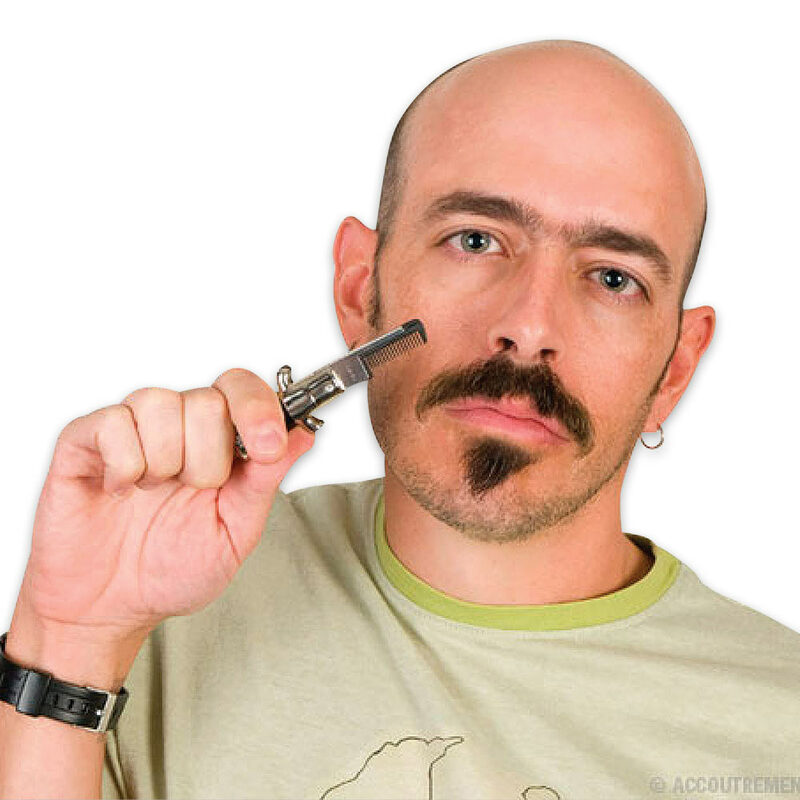 Special consideration should be given to the grooming of the mustache so as not to let it become bushy and unkempt. This 4” long Switch Blade Comb snaps open with the push of a button so that you’re ready to run it through your ‘stache at any moment. 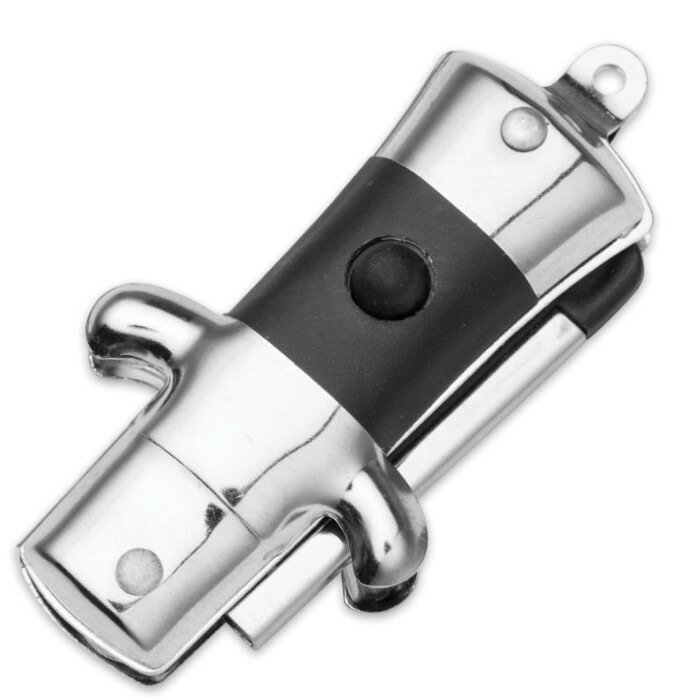 It’s made of metal and plastic and can be attached to your key chain.